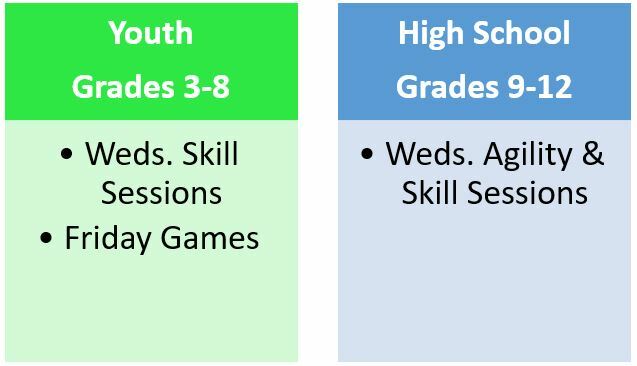 Skill Sessions are designed for players to hone their skills in position and game specific drills and scenarios. Instructional Clinics are designed for players to hone the fundamentals of the game. Friday Games players will compete against other teams in hour long games. Each team will be coaches by a Rip It coach. Agility Sessions starts off the high school sessions. The focus is on footwork and lacrosse specific movements.